Connected technologies and IoT solutions play important roles in transforming cities into smart cities. Implementing smart city with IoT and connected technology helps enhance the quality, performance, and interactivity of urban services, optimize resources and reduce costs. 2. 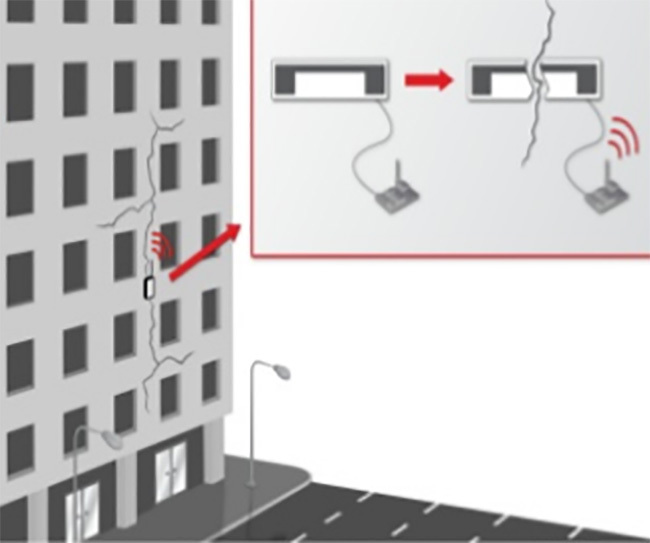 Smart buildings utilize different systems to ensure safety and security of buildings, maintenance of assets and overall health of the surrounding. "Trends in Smart City Development" is a new report from the National League of Cities featuring case studies about how five cities – Philadelphia, San Francisco, Chicago, Charlotte, N.C., and New Delhi, India – are using different approaches to implement smart city projects. The report also provides recommendations to help local governments consider and plan smart city projects. A "smart city" is one that has developed technological infrastructure that enables it to collect, aggregate, and analyze real-time data to improve the lives of its residents. 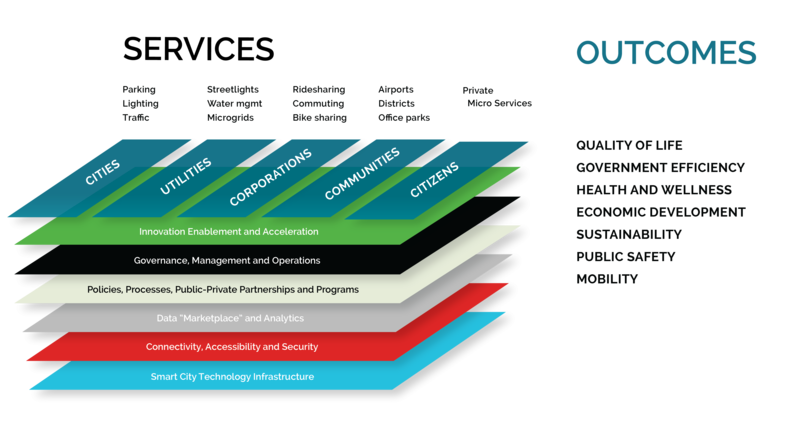 The report suggests that any smart city effort should include explicit policy recommendations regarding smart infrastructure and data, a functioning administrative component, and some form of community engagement. The capital city of Ohio has proven to be a true innovator among U.S. Smart Cities, and has even been awarded the winner of the Department of Transportation’s Smart City Challenge. Columbus was chosen thanks to the city being a leader in innovative ideas that will transform the city to become greener, more efficient, and easier to live in. This is the first Smart City award in history, and it comes with some significant benefits for Columbus and its residents. The most important, is a massive $40 million grant from the Department of Transportation. This will be supplemented by up to $10 million from Vulcan Inc., Paul G. Allen’s project and investment company. This $50 million will go towards a number of city initiatives, and is in addition to around $90 million that the city has already raised from private investors and partner companies. The plans that secured Columbus the win are both ambitious, and holistically minded. Rather than just tackling one or a few different areas of the city for modernization, Columbus plans to invest in a number of different areas to benefit private residents, while supporting important sectors of the economy and attracting new investment. A new rapid transit system will connect consumers to the main retail district of the city, and self-driving electric shuttles will be a major aspect of this system. This will not only provide easy access for consumers, but it will connect residents to jobs in the central districts of Columbus. Healthcare is another major focus for smart innovations, and the new rapid transit systems will provide residents with easier access to facilities. In addition to the rapid transit system, Columbus will implement new RFID technologies that will help to streamline toll payments, monitor traffic flow, and plan for future expansion and improvements based on road usage patterns. Columbus is the perfect city to be made the inaugural winner of the Smart City Challenge. Their innovations will help boost the economy and improve quality of life in one of America’s largest business and educational centers. Earlier this week Microsoft billionaire Paul Allen announced that he was teaming up with the U.S. Department of Transportation (DOT) to offer a $50 million prize to the winner of a “Smart City” competition aimed at promoting high-tech solutions to traffic snarls. The aim is to show what is possible when communities use technology to connect transportation assets into an interactive network. The Smart City Challenge will concentrate federal resources into one medium-sized city, selected through a nationwide competition. Funding of up to $40 million in funding will go to one mid-sized city that puts forward bold, data-driven ideas to improve lives by making transportation safer, easier and more reliable. DOT will partner with Vulcan, Paul Allen’s venture arm, to offer an additional $10 million to the winning city to support infrastructure for Electric Vehicles. February is the deadline to submit proposals for transit innovations and DOT’s experts will select five proposals as finalists. Each of the finalists will receive $100,000 in federal funding for further development, and the winner would be announced by next June. The competition is open to U.S. mid-sized cities, which is defined as cities with a 2010 census population between 200,000 and 850,000. You can see the guidelines here. Fifty million dollars may not sound like much compared to overall spending on transportation, but for cities of this size it’s a great start for creating a smarter city. This week’s announcement is one of many smart city competitions announced over the years, and surely there will be more to come. Cities are where the majority of people will live and by 2050 some estimates predict that as many as seven out of 10 people on Earth will live in an urban area. The continued population increases will exceed the capacity of human administrators. Cities will have to get a whole lot smarter. This is why you are seeing more and more contests for cities to get smarter, and for them to be more open. Witness cities like Glasgow who won the UK’s Future Cities competition, Barcelona’s Smart City ecosystem, India’s Smart City Challenge, the Obama Administration's Smart City challenge, and New York’s efforts to build a smart city. 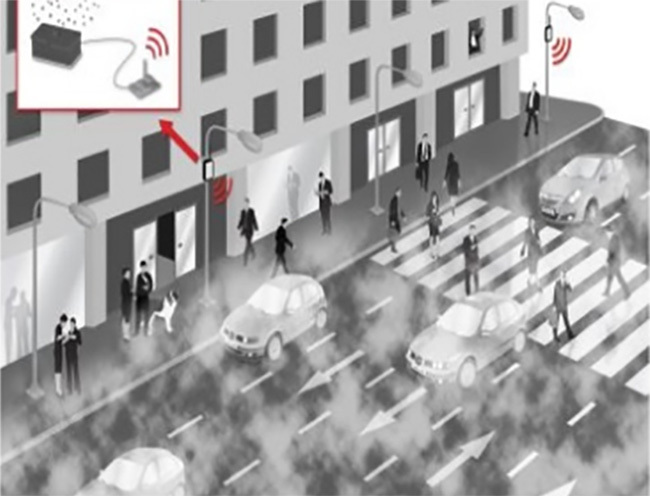 What this means is that sensors will be woven into every aspect of daily life. By 2020, the number of thermostats, pressure gauges, accelerometers, acoustic microphones, cameras, meters and other micro-electromechanical measuring devices linked to the Internet is predicted to reach 50 billion worldwide, a number predicted by Cisco. 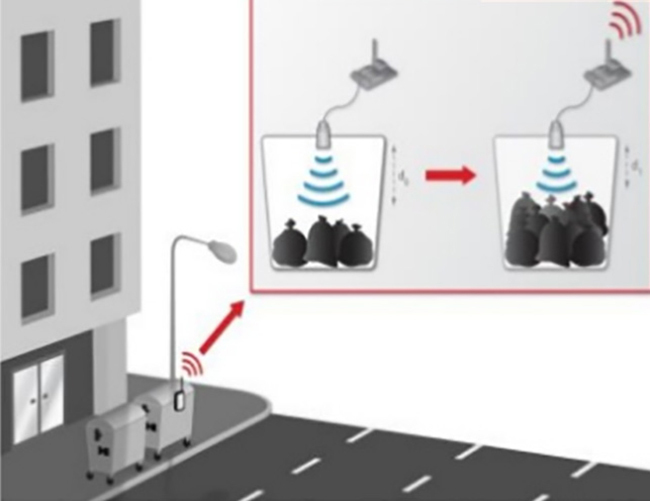 Think solar powered WiFi connected trash cans to let rubbish collectors know when they are full, sensors to alert public works directors of clogged sewers, traffic cameras connected to an IP network to notify engineers in a central location of mounting traffic jams, air quality sensors to monitor pollution and rooftop acoustics sensors triangulating sounds of gunshots. These contests are a way to drive industry towards a new era of more efficient and responsive government, driven by real-time data. 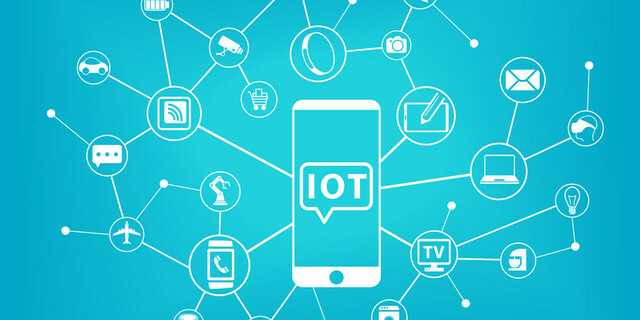 The role of the IOT will also drive new economic opportunity and business development, centered around the creation, analysis and intelligent use of these data feeds. The benefits are many: increased cost-savings, bolstered civic engagement, and strengthened public health and safety. Cheers to more contests and to the winners, which will be all of us.